The remains of a young girl have been discovered near the Florida home of Caylee Anthony, who was reported missing in July. A team of medical examiners and detectives has been hustling to identify the skeletal remains of a child found in a wooded lot in central Florida on Thursday, hoping to solve the six-month-old mystery of a missing toddler. Three-year-old Caylee Anthony has been missing since June. On Thursday, less than a half-mile from where the girl lived, a utility worker stumbled upon remains of a small child. There was nothing that immediately indicated the remains were Caylee's. But Orange County Sheriff Kevin Beary said his investigators and the FBI would work around the clock and through the weekend to identify the child. Authorities searched the home where Caylee and her mother lived again on Thursday night, looking for more clues. A utility worker found the body in the outlying middle-class suburb about 9:30 a.m., Orange County Sheriff's spokesman Jim Solomons said. There was nothing that immediately indicated the remains belonged to Caylee Anthony, he said. Caylee's mother, 22-year-old Casey Anthony, insists that she left the girl with a baby sitter in June, but she didn't report her missing until July. Anthony has been charged with first-degree murder in connection with her daughter's death. By early afternoon, dozens of reporters, police and onlookers had gathered in the pouring rain near where the remains were found. One man walked up and placed a flower-covered cross at the scene. Another man openly sobbed. Orange County Sheriff's spokesman Angelo Nieves said officials told Caylee's grandparents about the find, but refused to discuss whether the remains were Caylee's. "It would be premature to speculate," Nieves said. "We're not going to release any more information at this time. We don't want to compromise the investigation." The FBI and forensic investigators were working at the scene, which sits on the edge of the Anthonys' neighborhood about 10 miles southeast of downtown Orlando. For the past several months, Anthony's family, police and volunteers from around the country have searched for the little girl. The child's grandmother first called authorities in July to say she hadn't seen Caylee for a month and her daughter's car smelled like death. Police immediately interviewed Anthony and said that everything she told them about her daughter's whereabouts was false. The baby sitter was nonexistent and the apartment where Anthony said she had last seen Caylee had been empty for months. Anthony also lied about where she worked. As the case unfolded, troubling details emerged. Photos of Anthony partying after her daughter went missing surfaced. Friends said she was a habitual liar, but they also said that she was a good mother. Earlier this month, the Orange County State Attorney turned over almost 800 pages of documents, which showed someone at the Anthony home had done Internet searches for terms like "neck breaking" and "household weapons." In mid-March, someone used the Anthonys' home laptop to search Google and Wikipedia for peroxide, shovels, acetone, alcohol and chloroform. Traces of chloroform, which is used to induce unconsciousness and also a component of human decomposition, were found in the trunk of Casey Anthony's car during forensic testing, the documents say. Last week, prosecutors announced they would not pursue the death penalty for Anthony. 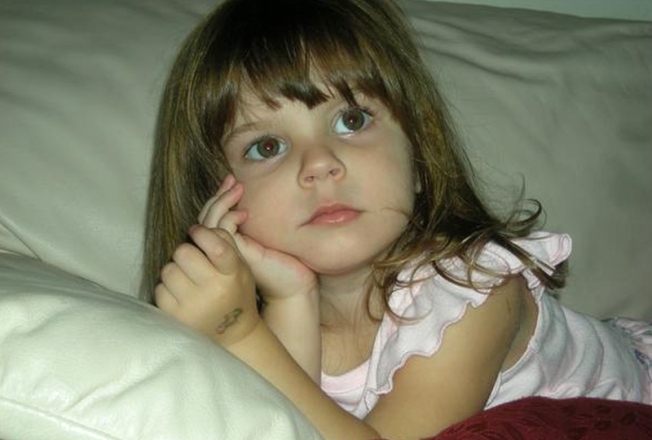 Messages left with Caylee Anthony's grandparents and with Casey Anthony's lawyer were not immediately returned. Mandy Albritton, a member of EquuSearch — one of the groups that searched for the missing toddler — told the Orlando Sentinel that their volunteers did not check the location in early September because it was submerged in water. When they returned in November, the site had been fenced off. One of EquuSearch's volunteers, Deborah Smith, searched the area three times and told the paper "she had a bad feeling" because Anthony had said her daughter was nearby. She told the newspaper: "It's really wet and steep and there's lots of snakes back there." "I do believe it's (Caylee Marie)," Smith said. It is more difficult to identify a child's body than an adult's, experts say. Dr. Lee Jantz, coordinator of the forensic anthropology center at the University of Tennessee, said the first thing medical examiners will do is compare photos of the child with the skull, in hopes of making a bone structure comparison. In high-profile cases the DNA of the bones will also be tested.